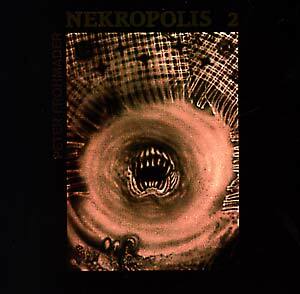 "Nekropolis 2 is another well known piece of Peter Frohmader. It features a super innovative use of basses. It is in the vein of the best Magma works and can also remind of the early King Crimson and Amon Düül." Originally issued in 1982 on the Hasch label.